I’m just going to admit it up front. I really enjoy reading history written by historians of another era. This biography of Arbella Stuart, a grand-daughter of Margaret Tudor, was written in 1913! As the author duly notes in her “Biographical Note”, the story of Arbella has been told many times beginning from right after her death in ballads and poems to biographical notes, novels and memoirs in the eighteenth and nineteenth centuries. 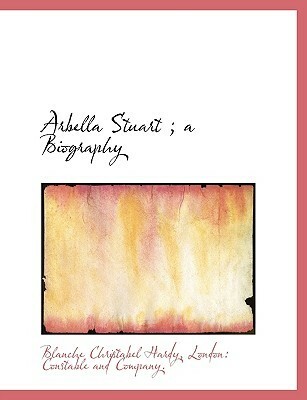 Arbella is mentioned by Agnes Strickland in “Lives of the Tudor and Stuart Princesses” and some of Arbella’s letters were published in 1866. That being said, I believe Blanche C. Hardy gives us the whole story of Arbella’s life in riveting detail and in her own words by quoting her letters, many of which still exist in various archives. She begins with the illicit conspiracy between two mothers, Bess of Hardwick and Margaret Douglas, Countess of Lennox who plotted to marry their children, Elizabeth Cavendish and Charles Stuart, 1st Earl of Lennox. Bess of Hardwick was a formidable noblewoman during most of the monarchies of the Tudor era. Margaret was the daughter of Margaret Tudor by her second husband Archibald Douglas, 6th Earl of Angus. Margaret and her sons Henry and Charles could rightly claim the throne of England. So the conspiracy to marry her son Charles without telling Queen Elizabeth I could have dire consequences. Bess and Margaret secretly plotted the marriage and managed to carry it off. Elizabeth Cavendish gave birth to Arbella in 1575. Both of Arbella’s parents died while she was an infant and she was brought up in close confinement by her grandmother Bess of Hardwick. Bess, at the very least, wanted to restore Arbella’s interest in the Lennox estates which were taken away when her parents died. At the most, she harbored an interest in putting her grand-daughter on the throne of England. Arbella was given a first class education and there were many who were interested in marrying her to men in the aristocracy of England and Europe. She was therefore kept under strict guard most of her life. There is no evidence Arbella was ever deeply involved in any of these plots which to some extent was extraordinary. However, Arbella did conspire to make a marriage to the nobleman William Seymour, a descendant of Mary Tudor, sister of King Henry VIII through her grand-daughter Katherine Grey, sister of Lady Jane Grey, the Nine Days Queen. Any alliance and heir born of this combination would have a considerable claim to the throne of England. Needless to say, this proposed alliance created a huge controversy. Queen Elizabeth was furious at the prospect and Bess of Hardwick broke off her relationship with Arbella for the rest of her life. This incident was the first indication that Arbella did not really have a stable mind. Letters written during this time strongly indicate this. Once Queen Elizabeth died, Arbella was in high favor with Elizabeth’s successor, King James I. She had a high position at court and was well liked by James and his Queen and their children. But she managed to throw this all away by marrying Seymour in a secret ceremony and against the wishes of the King. She never regained her position at court and in fact, made a daring attempt to flee from England with Seymour. Hardy’s description of Arbella’s escape and Seymour’s breakout from the Tower of London makes for some exciting reading. Arbella’s only flaw was that she was too close to the throne of England. This made for an unfortunate and miserable life for her and her story doesn’t have a happy ending. Hardy does a great job of recounting all the foibles and adventures of this eccentric woman. We are lucky that Nabu Press has reprinted this one hundred year old volume so we can enjoy it. I highly recommend this book. 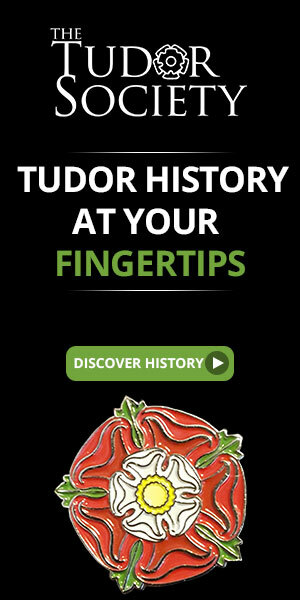 This entry was posted in Book Reviews, Tudor History Books and tagged Arbella Stuart, Blanche C. Hardy, Stuart history, Tudor History. Bookmark the permalink.